“Four years ago I set up Toppsta from my kitchen table. Today, we have 35,000 reviews, many of which are from children, and I consider myself to have the best ‘job’ in the world, mainly because it doesn’t feel like a job at all! Although we’ve grown as a business (and thankfully as a team), the essential elements have remained the same. Firstly, I wanted to celebrate reading and readers. All too often we have prizes and awards for academic achievements, sport, or teamwork. But I wanted to shine a light on bookworms and the often solitary activity that is reading. The quiet heroes I call them. Next, I knew I wanted to make it fun. 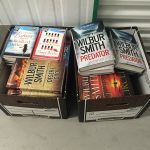 I have deliberately avoided using the word ‘literacy’, By running book giveaways, we build in a fun, competitive element, plus if you win you then have the anticipation of waiting for the book to arrive. And who doesn’t enjoy receiving book post! I also knew that I wanted to create a democratic platform where everyone’s opinion was valid. You don’t need to be an expert, just a reader (or listener!). I often describe Toppsta as a party where readers are the VIP guests. There isn’t a single voice, or a single opinion, it’s a democratic community where everyone’s voice is heard. Interestingly, and it’s taken me a while to work this out, despite being a website where people pass judgement on books, there’s no judgement of each other. More specifically, there’s no “Like” button because I think we could all do with an online space where children are free to speak their mind, without worrying about the number of likes they do or don’t get. And that means that it doesn’t matter what you’re reading, as long as you’re reading. I did some analysis at the end of last year and looked at our most popular books and pages and it was fascinating (well, maybe just for me…)! 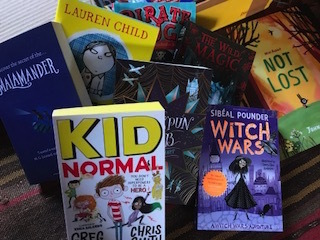 Yes, there were some obvious results like Roald Dahl and David Walliams books but there was also Where’s Wally, Mr Men and the new books announced for World Book Day. Plus, it makes my heart sing that picture books are so prevalent in our children’s book charts, right up to the teens. 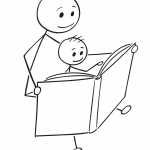 I’m sure if we had forums there would be people criticizing both children and adults for not reading something more challenging but as we don’t, I hope it encourages other children and parents to continue reading picture books well beyond the early years. Part of the plan was always to get books into the hands of children who wouldn’t normally have access to books. 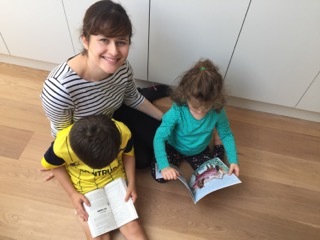 90% of our community are outside of London and we still get messages telling us how the book they’ve received via one of our giveaways, is the first book they have ever had at home. 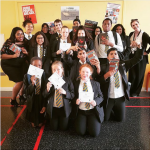 This, plus the free resources we provide for schools (including our book review template) is one of the many reasons why I’m so happy to be working with Give a Book and supporting their projects. 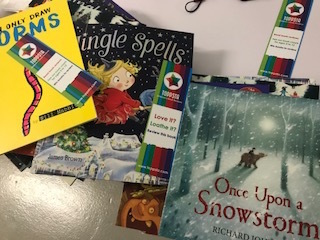 We always encourage publishers to allocate an extra book for each promotion and I love the idea of these books reaching families where they can really make a difference. Thank you to Toppsta for their support!